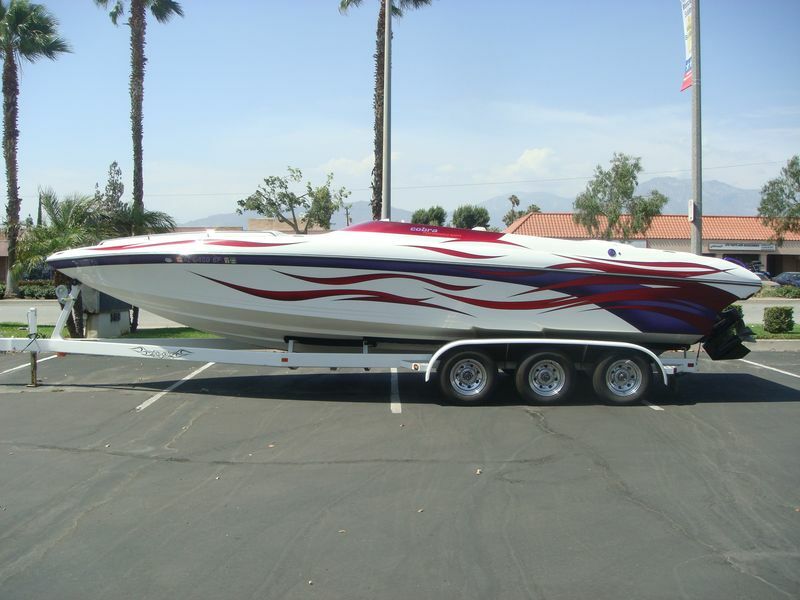 2003 Cobra 270 Razor open bow, Mercury HP525, XR drive, only 210 hours, external hydraulic steering, drive shower, dual batteries with locking switch, electric engine hatch with dual rams, dual lever controls, depth guage, Sony blue tooth CD stereo, hide away bimini, drop down bucket seat pedestals, interior lights, dual ice chests, self retracting boarding laddder, boat cover, xtra propeller, Extreme triple axle trailer with spare tire.b this is an original owner boat that has always been stored indoors and serviced regularly. 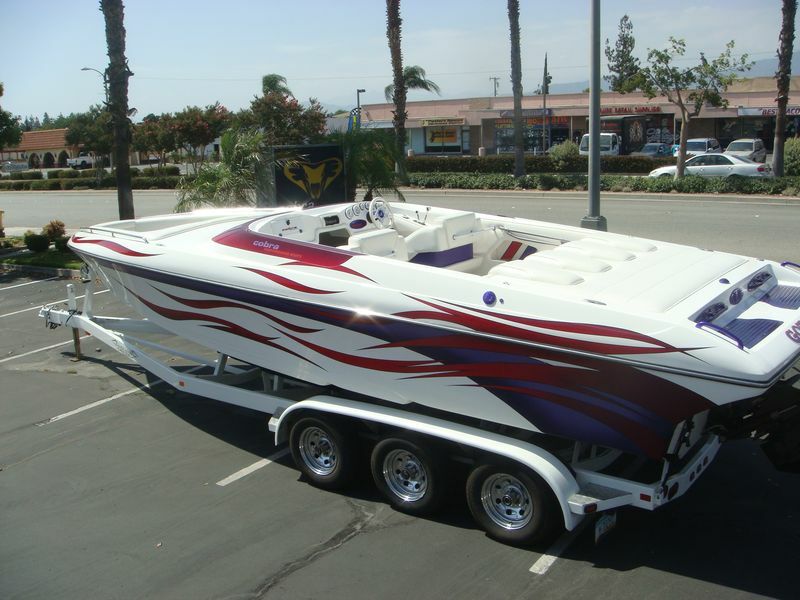 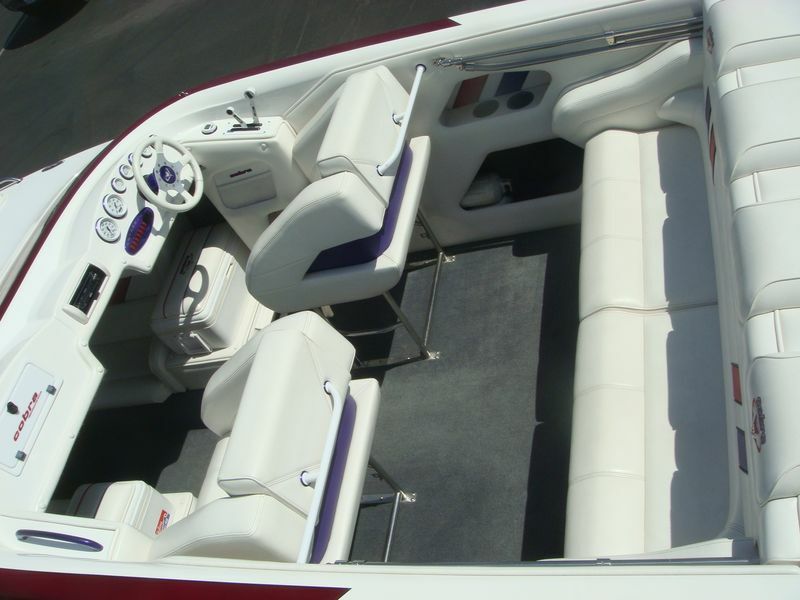 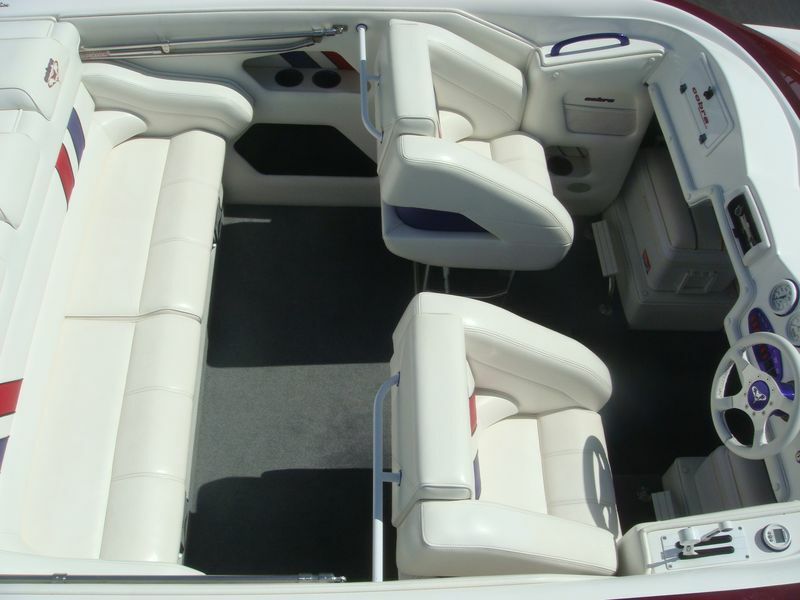 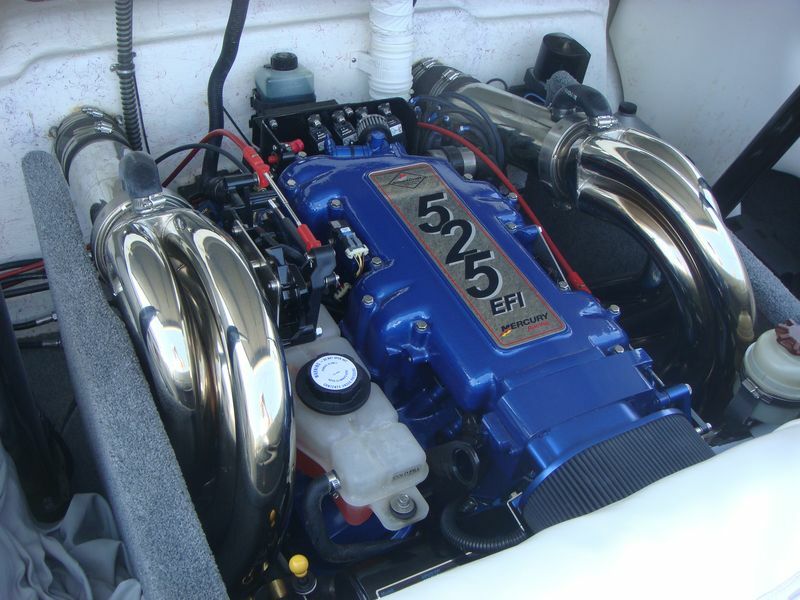 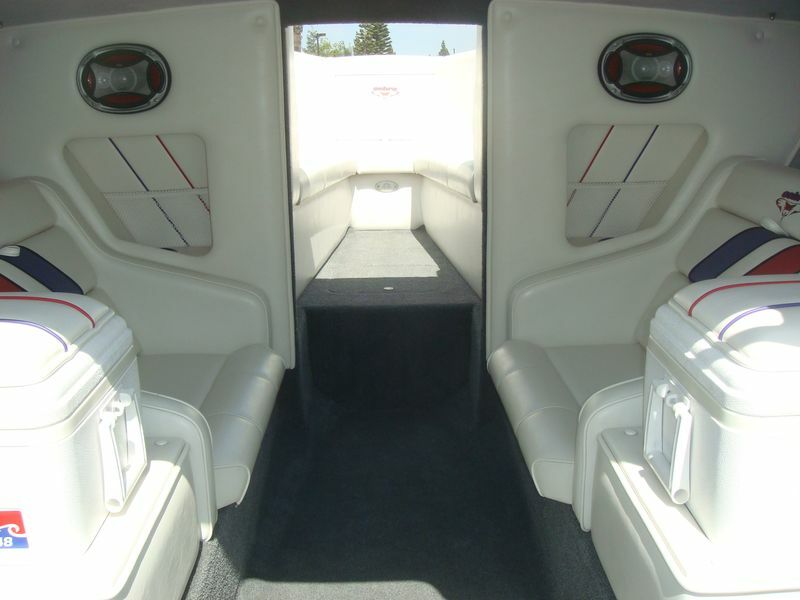 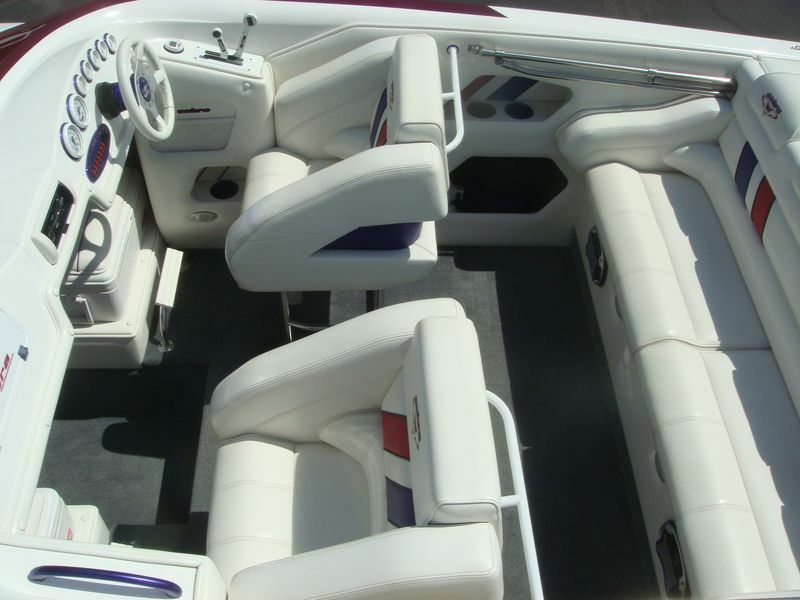 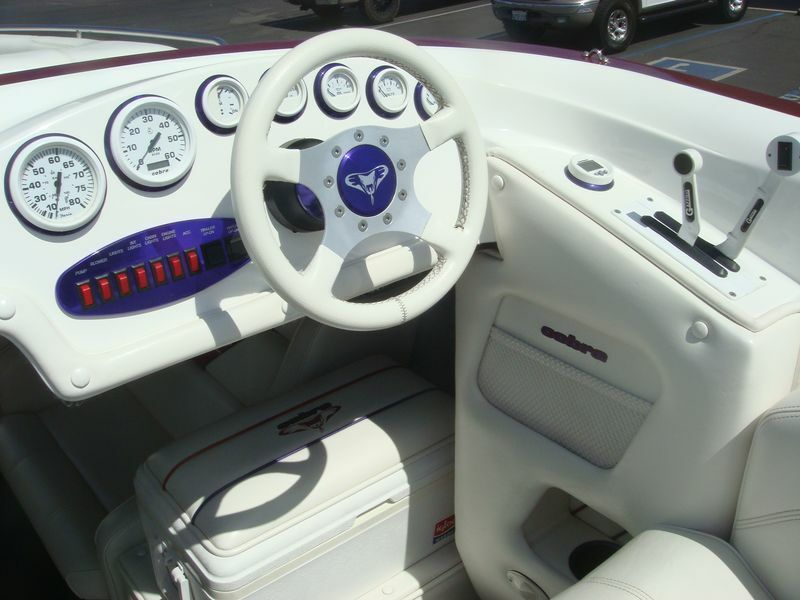 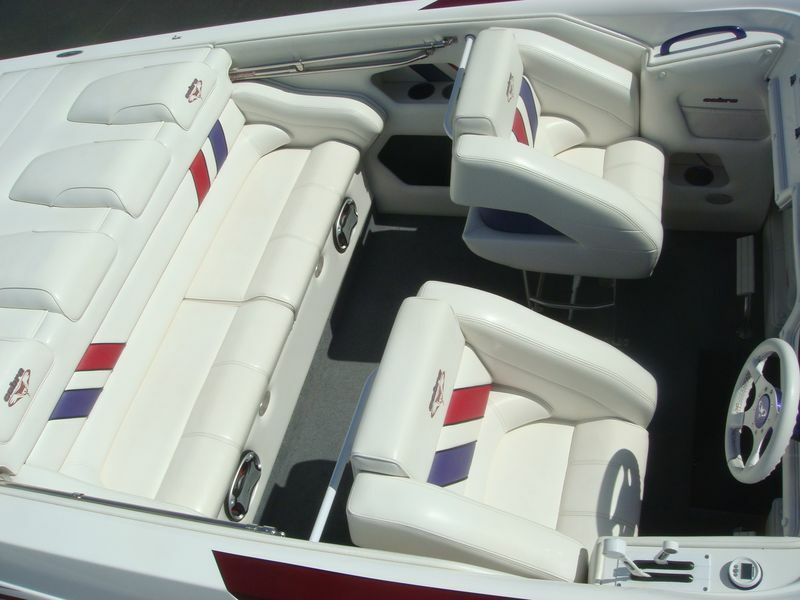 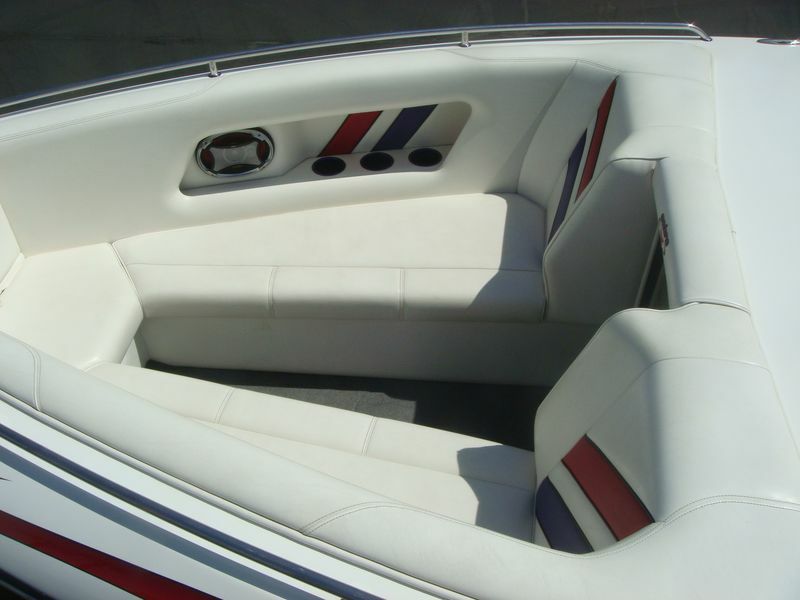 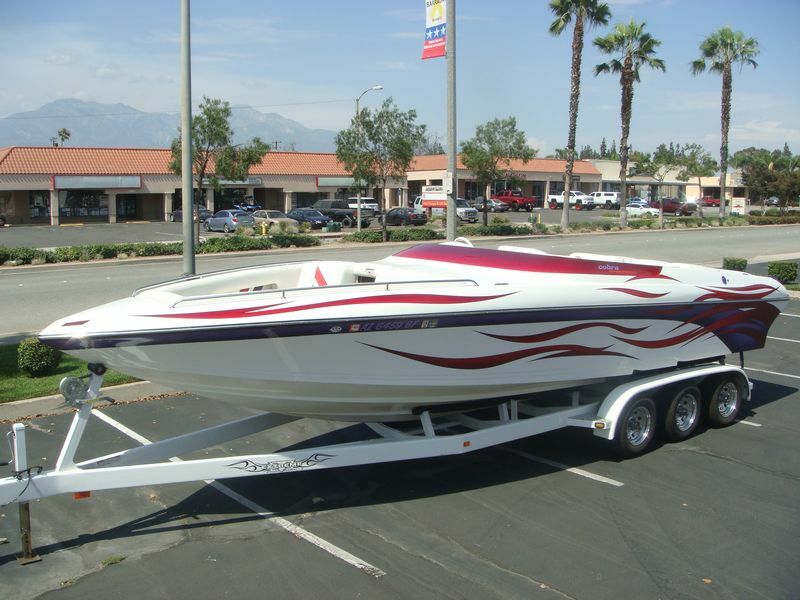 This boat is in beautiful condition inside and out and shows true pride of ownership! 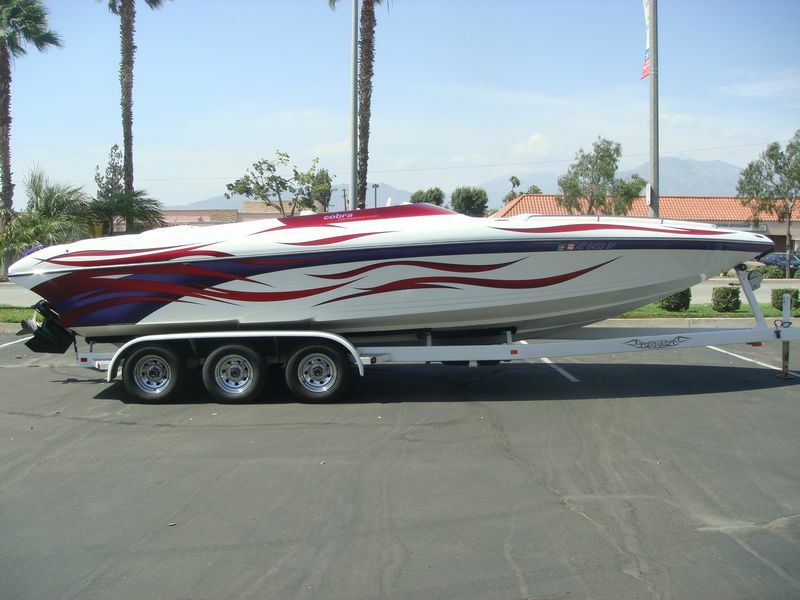 Available for $66900.